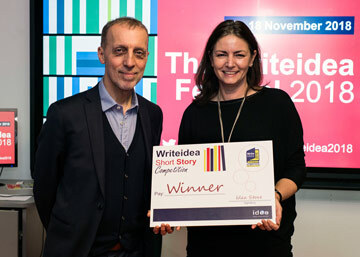 The Writeidea Short Story Prize is a competition is aimed at writers who have never been published before. Stories must be a maximum of 3,000 words (no minimum). Entrants must live, work or study in Tower Hamlets. The theme. this year is "Women". Stories are welcome in any style or genre. 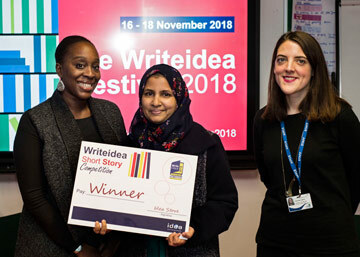 The Winner will be announced at the Writeidea Festival on either 17 or 18 November 2018 (date and time to be confirmed). Entrants must be 16 years old or over on the closing date. Teen competition entrants must be 13 - 19 years old. Idea Store Learners’ Prize entrants must be enrolled on an Idea Store Learning class during the academic year 2017-2018 or 2018-2019. Please read carefully the rules before entering. Enter your story here or use the entry form link on the right. 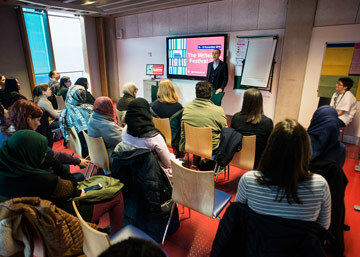 The Writeidea ESOL Prize is a local short story prize for learners enrolled on Idea Store Learning ESOL (English for Speakers of Other Languages) courses. The winners will be invited to share their stories at the Writeidea Reading Festival on either 17 or 18 November 2018 (date and time to be confirmed). For ages 16 plus. To enter, please email or give your story to your Tutor. Please read carefully the Rules and Regulations.